Stir the whites and sugar together in a pan, heat stirring gently until all the sugar has dissolved and the mixture is hot. Beat in a standing mixer with an electric whisk attachment for 5 minutes until it is very thick and holding its shape. Slowly add the butter a spoonful at a time. 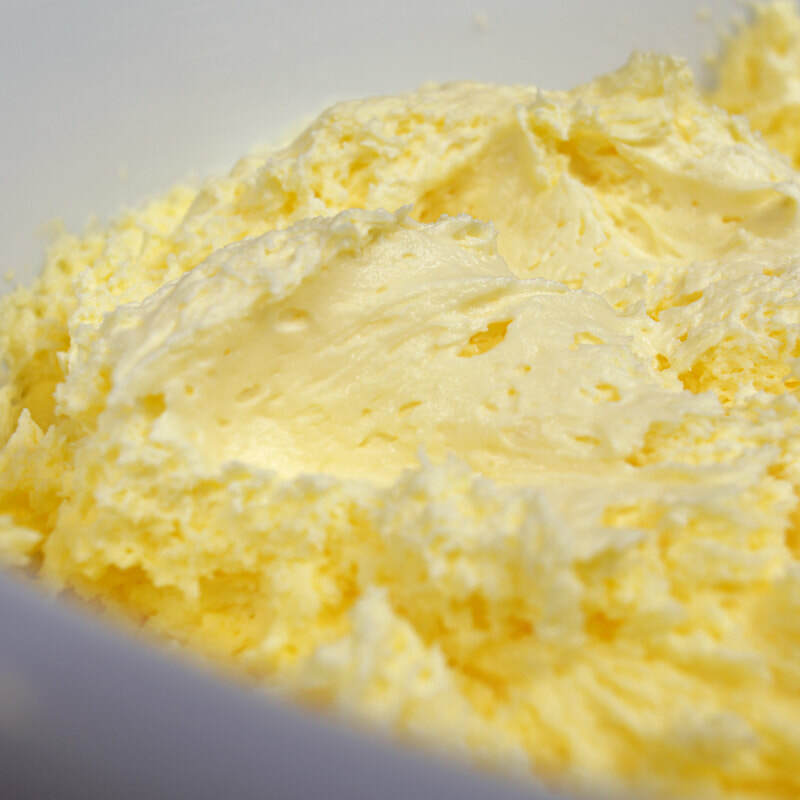 Stop whisking as soon as the butter is completely whisked in and no lumps can be seen. If it starts to look coarse or grainy warm it briefly in the microwave and whisk again. Beat in the vanilla extract or flavouring of your choice.